Due to insufficient management, hundreds of hectares of forest in Gia Lai province have been illegally converted to domestic housing and agricultural land. 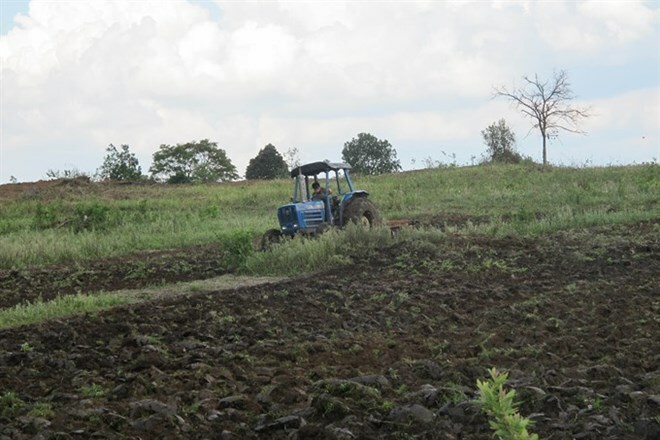 Nearly 100 hectares of forest in Krong Pa district of Gia Lai province were encroached upon and converted into farmland. Back in 2002, the Gia Lai People’s Committee handed 1,570 hectares of forest to Tan Tien One-member Co Ltd (based in HCM City) to be used in the development of industrial materials plantations, short-term agricultural products and animal husbandry in Ia Dreh Commune. The project was expected to start in 2003 and finish by 2010, with total investment reaching over 21 trillion VND (925 million USD). However, just four years into the project, by 2007, the company had failed to ensure progress, leaving vast tracts of land unused. The Gia Lai People’s Committee decided to reclaim, and handed 1,450 hectares to Krong Pa district for management. The remaining 119 hectares were still under the management of Tan Tien company. While district authorities never made any plans to utilise this forestland, many households in the vicinity in dire need of farmland – mostly of J’rai ethnic minority – encroached into the forestland, converting the unused forestland into houses and agricultural land. Over 10 years, 120 households have encroached on nearly 100 hectares of forest land. At the moment, there are still 78 households still refusing to relocate or return the illegally encroached land. According to reports, the small ‘community’ established in the encroached land was quite remote; one has to cross dozens of kilometres of forest to reach it. Due to its remote location, people’s living conditions are notably low. Most seriously, children there don’t get to attend school. More forest areas are still being destroyed to make room for farming activities at the moment of reporting. Ksor Gut, 1963, in Krong Nang commune of Krong Pa district, said that before, his family owned some small fields, however, they were flooded as the results of the construction of Ba Ha hydropower plant. Without knowing any thing better, his family wasted the entirety of the compensation money, he said. And then, in 2007, he moved his family here to ‘clear’ about 2 hectares of forest, turning them into farmlands. “It’s been a decade now, the rice and cassava fields yield subsistence income and barely help us not starve. If the state wants me to return, I hope I will get support in production land, otherwise, I can’t,” Gut said. Ta Chi Khanh, Vice Chairman of the Krong Pa district People’s Committee, admitted the current quagmire was caused by “lack of oversight and insufficient management,” adding that the social policies that help to prevent forest encroachment is lacking while local people’s demand for agricultural land is high. According to Khanh, pursuant to government’s policy regarding the ‘closing up of forests’ and forestry sustainable development, the forest area which was handed to Krong Pa district will be transferred over to the Minh Phuoc One-member JSC headquartered in Quy Nhon city, Binh Dinh province. Authorities will ‘resolutely’ relocate those households encroaching on land under the Tan Tien Company’s management.